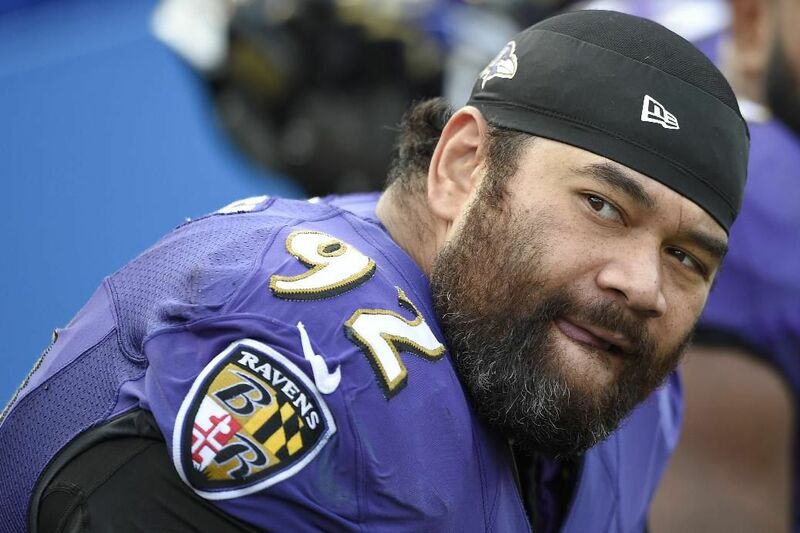 On Monday, former Baltimore Ravens defensive tackle, Haloti Ngata, announced his retirement from the National Football League after 13 seasons. Ngata joined the NFL in 2006 when he was drafted by the Baltimore Ravens in the first round of the draft. He quickly developed into a dominant defensive tackle and became a staple in Baltimore’s defense. The unit was feared throughout the league as Ngata teamed up with Terrell Suggs, Ray Lewis, and Ed Reed to terrorize opposing offenses. Ngata played for the Ravens between 2006 and 2014. He was selected to five Pro Bowls during that time in his career. All five of his Pro Bowl selections came in a row, as he was selected each year between 2009 and 2013. Ngata was also named a first-team All-Pro in 2010 and 2011, and a second-team All-Pro in 2008, 2009, and 2012. Ngata’s greatest achievement, however, was not an award. He was instrumental in the Ravens’ run for the team’s second Lombardi Trophy in the 2012-2013 season. Ngata recorded 282 solo and 167 assisted tackles with the Ravens. He ranks sixth on the team’s all-time leader list in tackles for loss with 51, and second for quarterback hits with 74. Ngata also sacked opposing quarterbacks 25.5 times in his nine years with the Ravens. Many believe that Ngata will soon be enshrined in the Ravens Ring of Honor to solidify his legacy as a Baltimore Ravens legend. Ngata would join the ranks of his former teammates in Ray Lewis and Ed Reed. Ngata left Baltimore in 2015 after the Ravens traded him to the Detriot Lions. The Ravens shipped him and a seventh-round pick to Detriot in exchange for a fourth and fifth round pick. Baltimore decided to move on from Ngata because his cap hit was too great for the team to absorb. He played for the Detriot Lions for three years (2015-2017). After his stint in Detriot was over, Ngata headed to Philadelphia to play for the defending Super Bowl champions. He only recorded 17 combined tackles and one sack in his final year. Ngata announced his retirement through an Instagram post, featuring him at the top of Mt. Kilimanjaro. Next Next post: Will Chris Moore Breakout in 2019?